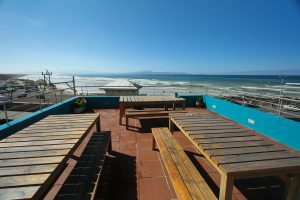 You know you’re in for a good stay when a local highly recommends a place to crash – especially when that person works in the tourism industry – so after being told about Stoked Backpackers in Cape Town, South Africa I decided to make that my base for a week exploring the area before starting my surf road trip along the coast. How’s That For A View! To be honest from the word go I knew Stoked Backpackers was going to immediately enter my top hostels list – checking in with reggae playing in the background, dreadlocks haired staff and a quaint veggie cafe was a welcome change from the hustle and bustle of J’Burg and my safari in Kruger National Park! This first impression was solidified by the view from the hostel balcony – 180 degree panoramic beach views overlooking the surf…it’s less than a 2 minute leisurely stroll from the sand and waves! It’s situated outside of the main city which is exactly what I wanted. I’m not a fan of city living and I wanted to be close to the ocean – which is exactly what Stoked provides. It’s neatly on the ocean front of Muizenberg – a relaxed area of Cape Town that has the same kind of vibe I found in places like Byron Bay in Australia and Montanita in Ecuador. 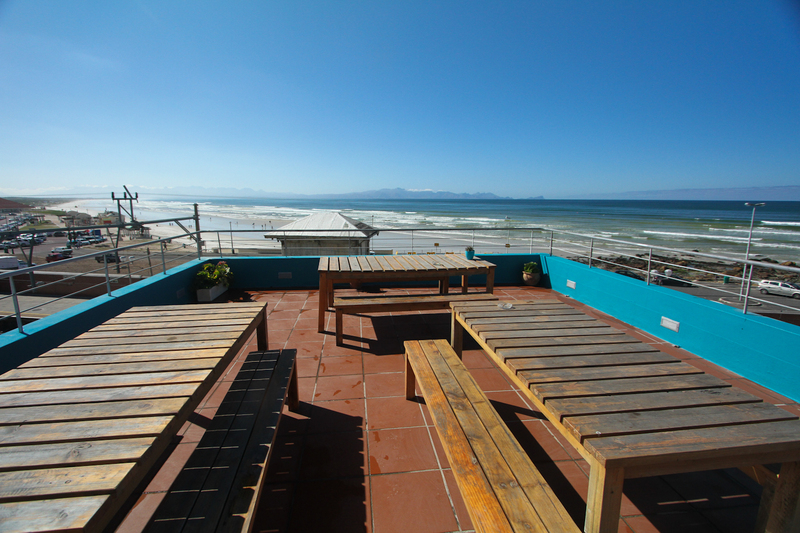 Everything here revolves around the ocean – surfing, diving and the general beach bum vibe I crave! Stoked Backpackers ticks all the boxes for an epic hostel too – the clean, spacious rooms range from bunk bed dorms, backpacker twins (self contained within a dorm) and private doubles with ocean views, so no matter what your budget or style you’re well catered for…some of the rooms even have an attic style ‘nest’ bed tucked away for a great bit of private space within the dorms. 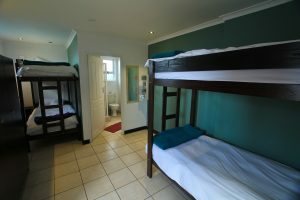 Dorms start at £8.50 per person for a 12 share mixed dorm, whereas privates are just under £50 for the room with en suite. Facilities wise all the usual – kitchen, living area, TV and lockers are all there and there’s heaps of added extras include wifi throughout, surfboard rack and even a cafe downstairs (which serves incredible food!) to help make your stay even more comfortable. The place is heaps secure too with passcode entrance – so you can really relax and switch off without any worries. The staff are super welcoming too, always on hand to help answer any questions and share some local knowledge. Henry with his dreadlocks and beaming smile is always good banter too! 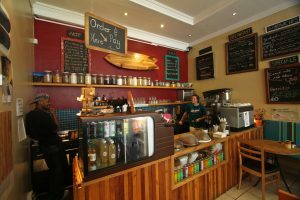 The Stoked Cafe – Awesome Coffee And Veggie Food! Or Cook Yourself With A View! …basically there’s more than enough activities to really pack out even a 2 week stay! I was pretty impressed on the range of things on offer! What’s more is Stoked has created some great local business partnerships which means you’ll get things cheaper through booking with them – always great news for the budget! 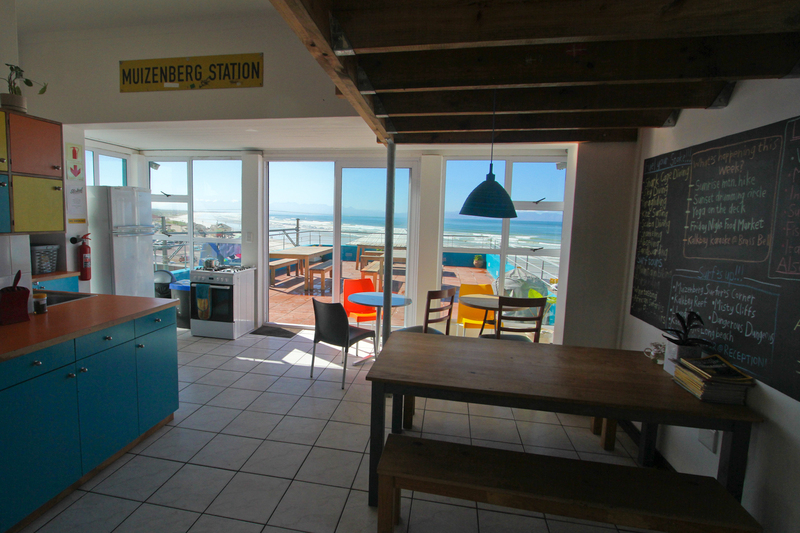 The bottom line at Stoked Backpackers is you get an amazing location, awesome service, a great communal backpacker vibe and easy access to the all the treats Muizenberg has to offer. And of course you get a great night sleep too as the bed are super comfortable! For more information and to book check out the Stoked Backpackers website – www.stokedbackpackers.com and they have heaps of awesome pics over on the Facebook Page too! 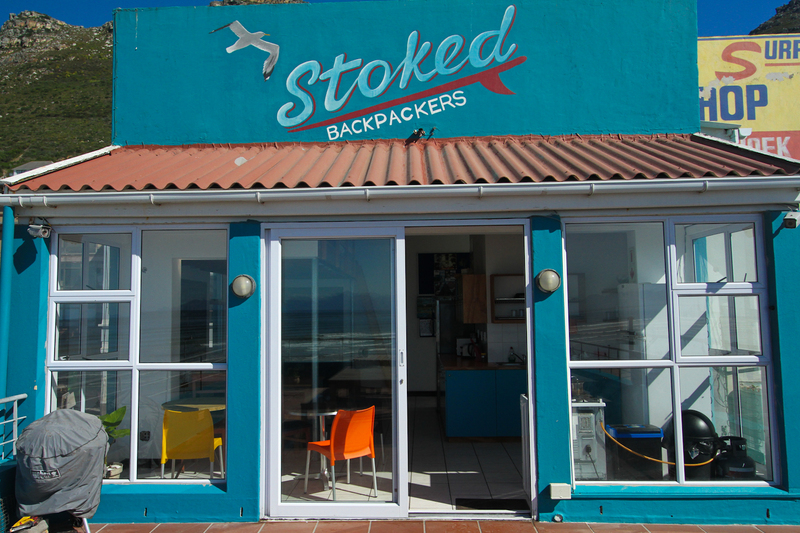 For me Stoked was the perfect Base in Cape Town - close to the beach with everything to make your stay amazing! great surf spot in walking distance. only the sharks are a bit scarry.